Locations in Madagascar and Puerto Rico. Locations in Paraguay and Brazil. Locations in Arecibo, Puerto Rico and Madagascar. Locations in Cape Town, Dispatch, Jeffrey’s Park, Lorraine, Newton Park, Port Elizabeth and northern areas. Locations in Wembury, Plymouth, and Devon. Locations across England, Scotland, and Wales. Locations in Barnton, Cuddington, Manchester Metro, Shaftesbury, and Winsford. Locations in Arizona, California, and Nevada. 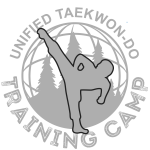 Send updates and additions to website@unifiedtaekwondo.com.